What are the differences between pianos? There are two main criteria: on the one hand, the height and, on the other hand, the quality of the materials used. These are reflected in the respective purchase price. 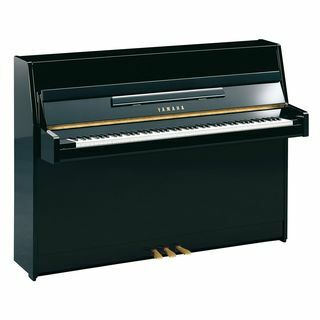 The taller a piano, the longer the bass strings can be and the larger the soundboard area of the piano can be, both of which have a significant effect on the fullness of sound. The quality of the materials used naturally also has an effect on the sound; therefore two pianos of the same height but at different prices do not sound the same either; the more expensive instrument will sound finer, more nuanced and more dynamic. 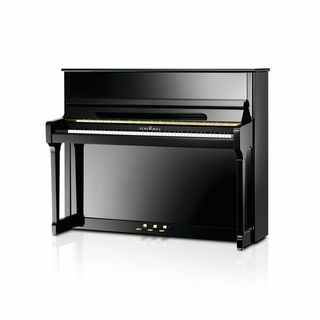 The German piano "good & soft", Japanese pianos "hard & bad" sound, by the way, is a widespread and quite stubborn misconception - only the price range is decisive for the good sound and the level of the piano. Japanese piano manufacturers like Kawai or Yamaha, as well as companies in the German-speaking countries like Sauter, Schimmel, Bösendorfer or Bechstein, have been building pianos & grand pianos for over a hundred years and have the necessary experience in piano manufacturing. Are there any differences between the mechanics? Again, the higher the purchase price, the higher the quality of the mechanics. A piano/grand piano action consists of a large number of individual parts that have to be perfectly tuned to each other; they must not warp or distort and are exposed to great stress and friction. The felts of the hammer heads, for example, are decisive for a long-lasting and consistent sound character and therefore play a central role. YAMAHA and KAWAI have their own keyboard and mechanics department and basically produce good quality mechanics; for German manufacturers, RENNER usually builds the high-quality mechanics. What is the difference in sound between an upright piano and a grand piano? Does a grand piano action work better than an upright piano action? Due to its construction, a grand piano mechanism can be played more sensitively, dynamically and quickly. This is due to the fact that the piano mechanism is located in the wing of the grand piano and the hammers therefore move from bottom to top, while the piano mechanism in the piano stands upright and the hammers thus follow a horizontal course. 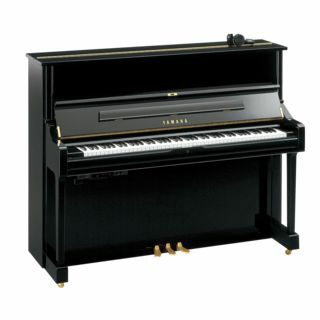 How do the large price differences between upright and grand pianos arise? A piano consists of several thousand individual parts! The higher the quality of these parts and the longer the tone woods can dry naturally, the better the instrument sounds and plays and the more expensive it becomes as a result. The second aspect is the way in which the piano is elaborately manufactured; the more manual work and construction time is invested in the instrument, the higher the costs - but the finer and richer the touch and sound! This is why Bösendorfer's instruments are so expensive; the production of these instruments takes about twelve months! and the tone woods dry naturally for at least twelve years, i.e. only protected from rain and completely naturally outdoors. How often do pianos need to be tuned? Under normal conditions an annual tuning is sufficient for newer pianos (not the 90 to 120 year old treasures!). If the place of installation is favourable and the air humidity is between 40% and 70% (the temperature itself is not so important), the piano (and by the way also the human being) feels comfortable. Unfortunately you can read mostly horrible half-knowledge in piano forums: You'd better get more information from our experts at MUSIC STORE professional! Since we are experienced piano builders and have a very large selection of pianos and grand pianos in our exhibition ( ready to play, of course), it is definitely worth coming to visit us. How do uprights and grand pianos get to my house? 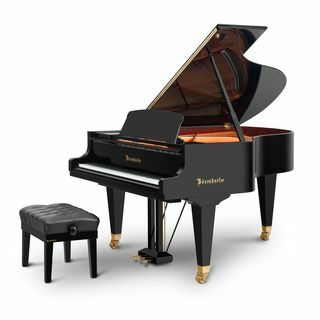 Piano transport to your home and to the place of installation, the first tuning and a five-year guarantee are included in the purchase price. It goes without saying that we are happy to look after our customers' instruments (within a large radius of Cologne) - no matter if it' s a matter of small issues, maintenance, regulations or the annual tuning; and all this at very fair prices.